that can be used in Specific Dry Location Panel Grounding Applications in UL 508A or UL508 panels and other permitted Grounding Applications subject to further UL investigation. Q. When building to NEC codes what kind of grounding lug or wire connector can I use? Typically, Dual Rated for both copper or aluminum wires. Q. Can I use a ZMVV2 UL Recognized (not ZMVV Listed) wire connector for grounding? A. Only after further UL investigation for the mounting means and probably other “Conditions of Acceptability” that are defined in the ZMVV2 Recognized file and with more delay and added evaluation cost. That is not normally considered worth the trouble if a Listed ZMVV wire pressure connector is available. Q. So if I use UL486A-B Listed ZMVV connectors I avoid all that extra review and cost? A. Yes, UL486A-B LISTED ZMVV Wire Pressure Connectors are treated as having been evaluated for certain grounding uses in dry locations like electrical cabinets, and when mounted in the manner they were clearly intended (typically bolted), and under the UL508A / UL508 panel or appliance standard that covers the end use. Q. I see some grounding bars that are UL listed under UL467 category KDER, what is that all about? A. There are two standards that are involved to List wire connectors that are used in grounding applications. 1. UL467 (KDER) Grounding and Bonding. 2. UL486A-B (ZMVV) Listed Wire Pressure Connectors. Q. UL467 is a standard for “grounding and bonding” whereas UL486 is for “wire connectors”, what does UL say about the use of UL486 wire connectors for grounding? A. While UL467 would be the default standard for grounding and bonding but there is very widespread use of Listed UL486A-B Wire Pressure Connectors inside panels and enclosures. This is the UL sensible rationale for the UL486 Listed ZMVV being commonly used for grounding applications having been “grandfathered in” as a natural extension of proven power cycling wire connector technology for grounding, as well as power use. Rationale: UL486A-B is a very exhaustive standard of testing since connectors are tested for full continuous and cycling current use including a 500 cycle over-current test. It is understood that UL486A-B lugs rated for power use will also see short circuit surges in the same way a grounding lug would. UL467 testing is subjects the device to a one-time high current rush test mimicking a single a short term shorting to ground situation. While UL467 is the comprehensive standard for grounding and bonding connections, these connections are not rated for continuous or cycling full load current as are UL486A-B Listed Lugs. In dry locations and in controlled panel / enclosure conditions both are considered to be adequately tested for the purpose of carrying surge current in grounding wires under UL and NEC subject to the panel standards that the equipment is constructed under. Feel free to contact UL for more information about this. Q. Can I use a KDER, UL467 wire connectors for power use like a current carrying neutral bar or power distribution bar? A. No. The more limited testing (short term current spike) with no long term power testing means that power use is not permitted since there is no testing for current carrying longer than a single spike. Q. So if I want to buy and stock one part to use both in the power side of my electrical cabinet and the grounding requirements, the UL486A-B ZMVV Listed wire connectors is the way to go? A. Probably. If you have the OK to use ZMVV Listed lugs for grounding in your application. Then one part does it all. These typically Dual Rated parts (see connector UL label) are able to take both copper and aluminum wire. Q. UL486A-B covers mechanical (screw type) wire connectors and crimp tool tube type connectors, but not twist on wire splicers which are UL486C. Are all these permitted for ground use if they are ZMVV Listed wire pressure connectors? A. Probably, if you check carefully for the ZMVV Listing under UL486A-B (not just “Listed” and not ZMVV2 Recognized) and use according to the product labeling and other codes. Q. 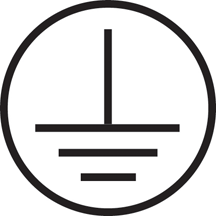 What does UL508A (Industrial Control Panels) say about Grounding wire connectors that must be provided for field wiring as an equipment grounding connector? A. UL508A 14.2 and 28.2.2 confirm that a “Pressure Wire Connector UL486A-B” (ZMVV) or UL467 (KDER) Grounding and Bonding comply. Q. What does UL508 (Industrial Control Equipment) say about the UL standards for Pressure Wire Connectors? A. UL508 40.1.5 Indicates that “pressure Wire Connectors” when used for grounding shall be identified as such. UL508 25.5.16, and 25.5A1 confirms that “Pressure Wire Connectors” shall comply with UL486A-B. Q. Why does UL508 and UL508A allow use of UL486E as well as the “gold standard” UL486A-486B? A. UL486E has a concession in that permits much lower wire pull out and secureness standards than UL486A-B has, in exchange for a verified wire strain relief built into the panel or casing to avoid wire strain being felt by the wire connector inside. Q. Do grounding wire pressure connectors have to be green? A. No, but per UL508 40.1.5 typically a grounding wire pressure connector may be clearly identified using nearby labels or markings with the grounding sign or words or abbreviations, in lieu of being green. 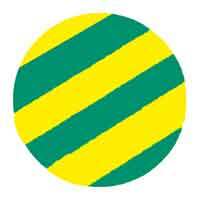 UL508 and UL508A permit if “plainly identified” with the marking “GROUND”, GROUNDING”, “G”, “GR”, “GRD”, “GND”, GRND” or the like, or IEC publication 417 symbol 5019 or Green/ Yellow bicolor labeling or plastic color. Note that if a connector IS green or otherwise marked in any way to indicate “grounding” use it MUST be used for grounding and not any other use such as power. References: UL LLC, NEC CODE, NFPA. This general information is provided as an introduction only. There are many requirements, national, local, and other codes and AHJ’s (Authority Having Jurisdiction) which might impact on the final approvals. This information is provided for educational use only and no claims are made for its completeness, accuracy, and may not be updated.